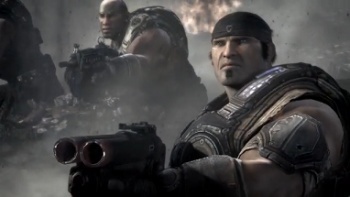 Co-founder Mark Rein says that Epic is more than just Gears of War. Speaking at the GameHorizon conference in Newcastle, UK, Epic VP Mark Rein said that despite the misconceptions of some, the company was still very much a PC developer. "I think that it's a myth that we've abandoned the PC, it's just not true," he said. "I mean, Bulletstorm is coming out on three platforms; we've just been in this situation where our biggest franchise has been published by a console-holder, and was a very console designed-IP." "Don't confuse Gears of War with everything we do. There's a tendency to think that because we wanna do one thing really, really well and not a hundred things really poorly or just okay that we're less committed. Bulletstorm is PC, PS3 and Xbox 360 and you'll see when it comes out, it will be a full-blown, oh-my-god amazing PC game." With Epic offering the Unreal Development Kit free to whoever wants it, it's hard to make the case that it isn't supporting the PC platform. It might not be the PC exclusive developer it used to be, but that doesn't mean it's left the PC behind.